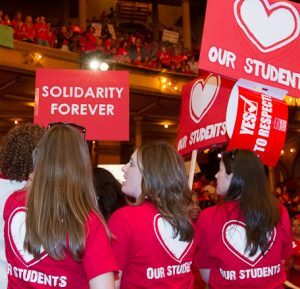 The CTU House of Delegates has completed its first round of endorsements this evening, choosing to support four champions of democracy, public education and the need for progressive revenue to support the schools our students deserve. Brandon Johnson is a longtime CTU member and staffer in the organizing epartment. Prior to his work at the CTU, he taught at Jenner Elementary School and Westinghouse High School. Brandon’s focus is to support the services that support our students and protect those who do the work: physical and mental health care, restorative justice programs and the revenue needed (from those who can afford to pay) to make sure those services are available to all who need them. Delia Ramirez has been an education organizer in Logan Square and Humboldt Park for many years. The former president of the Logan Square Neighborhood Association, she opposed the 2013 school closings and charter expansion and advocated for real sanctuary for students. She supports progressive revenue and using the money to fund not only school needs—counselors, clinicians, librarians, and a broad and rich curriculum—but affordable housing, too. 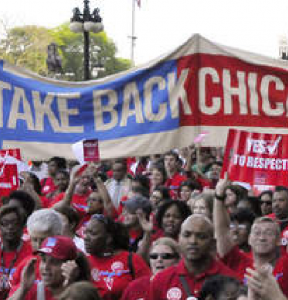 Delia is endorsed by CTU affiliates United Working Families and Grassroots Illinois Action. Rep. Sonya Harper is strong CTU ally and the chief House sponsor of HB 3720, a bill to reform the TIF program in Chicago. The bill tightens the rules around development projects to clearly determine how much money is available, adds a provision that TIF funds could be used for special education and trauma supports in schools, and most importantly, directs large TIF payments to CPS every year instead of downtown developers. Rep. Harper passed the bill out of the House (with a veto-proof majority) last spring. Rep. Rob Martwick is one of the CTU’s strongest allies in the Illinois General Assembly. He is the chief sponsor of HB 1774, the bill for an elected school board for Chicago. His work on this bill has moved CPS closer to an elected school board than at any other point in history. Rep. Martwick has also sponsored legislation that requires funding to follow students when they transfer between charter and traditional schools and a bill to outlaw for-profit charter schools.